You can get details for your update by contacting sales@3gsm.at. Version 4.3 includes a major refactoring of the MultiPhoto component alongside with feature updates of all other software components. There is a completely redesigned user interface of the 3D mapping software Analyst with several new features. Noticeable changes are listed below but there is tremendously more that happened behind the scenes. Everything has been reshaped in order to work with the new Multiphoto approach. The ShapeMetriX 3D system now supports unordered overlapping photos and combines them to a consistent accurate 3D model. 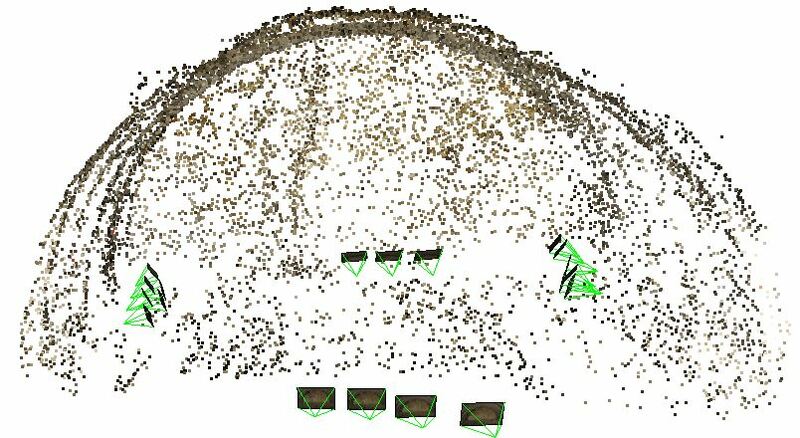 Note that the new software component SMX Multiphoto is also available as add-on to existing ShapeMetriX 3D systems. 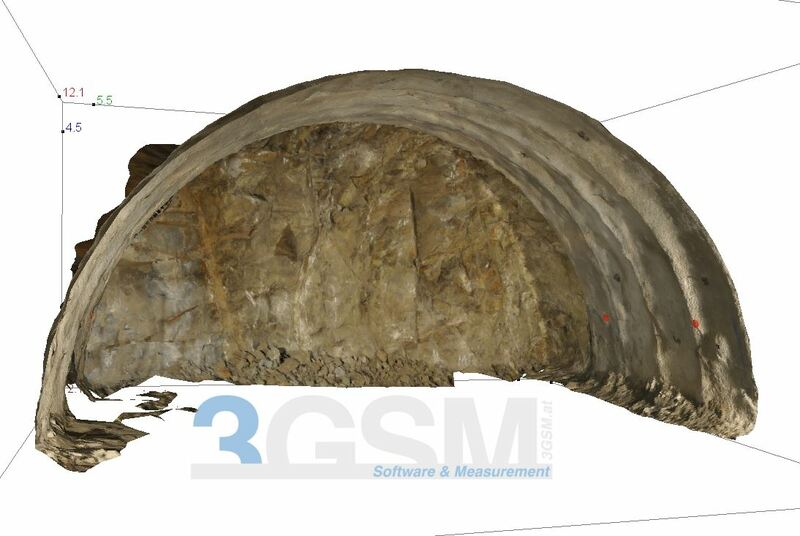 The Multiphoto component can deal with aerial imagery such as from drone as well as with multiple photos taken in underground environments. The new component requires a 64 bit system and a NVidia graphics card in order to expand its full capabilities. 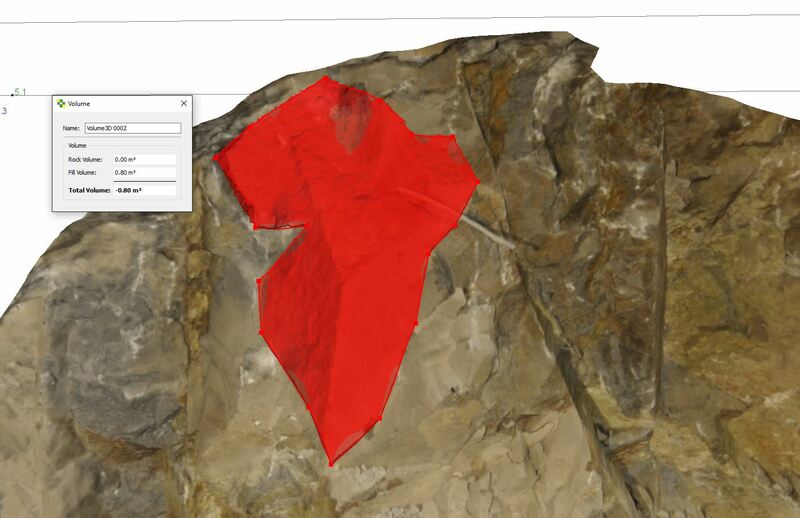 There are new assessment features available in JMX Analyst for quantifying rock faces. A new annotation for estimating volumes has been introduced. 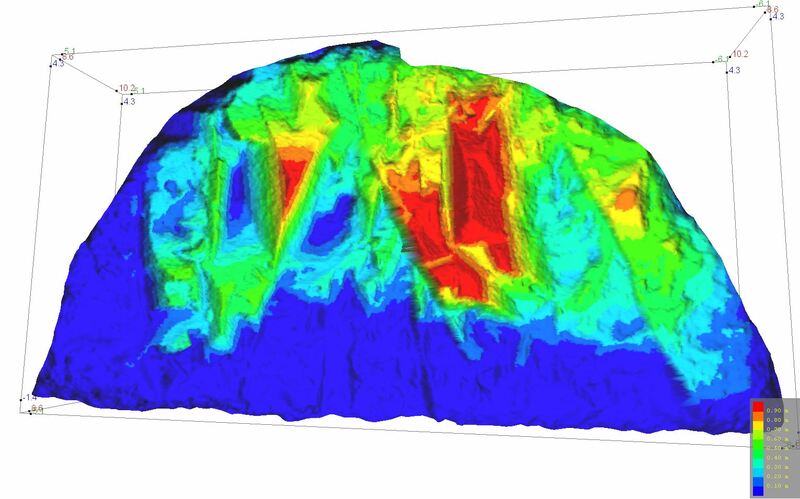 Configurable topographic maps and cut-off planes allow estimating overbreak ratios and planarity analyses. Reference planes can be defined in the SMX SurfaceTrimmer and there is a new scaling mode in SMX Normalizer using two non-parallel range poles. … and as always some tweaks and improvements. A polygonal line outlines the border of a volumetric body. Two non-parallel range poles with known target distance and trend and plunge are used to scale, vertically orient, and north-correct the 3D image. 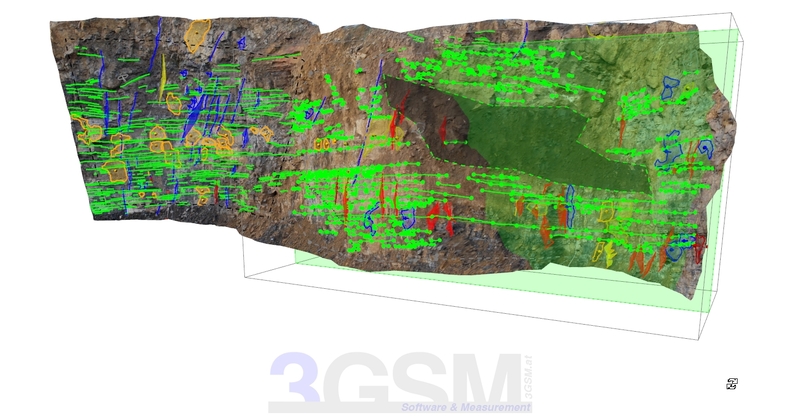 The new version primarily provides new features for the geologic 3D mapping tool JMX Analyst, and some general performance improvements. 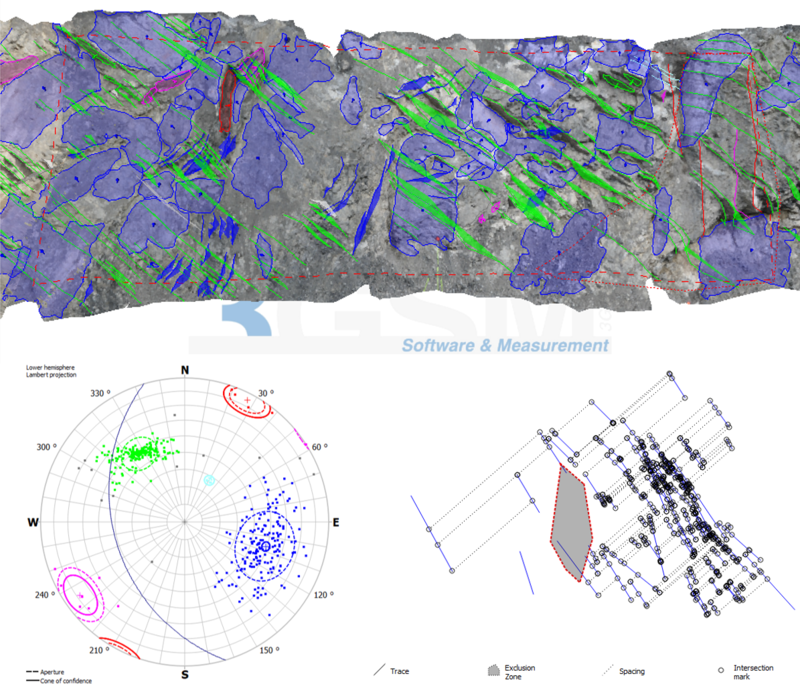 With the introduction of the elements “Analysis Zone” and “Exclusion Zone” homogeneous areas in the rock mass are easier definable. These zones especially support the newly extended computation of spacing. Analysis Zone: New annotation for selecting multiple measurements. Exclusion Zone: New annotation for masking zones. The new version covers several extensions around the 3D mapping software component. Introduction of orientation weights, i.e. the consideration of structure sizes when calculating joint set orientations. The latest release includes many changes/improvements within the scope of user interface, memory management, and data representation. Introduction of the annotations “Analysis Zone” and “Exclusion Zone” – this eases the definition of homogeneous regions in the rock outcrop.